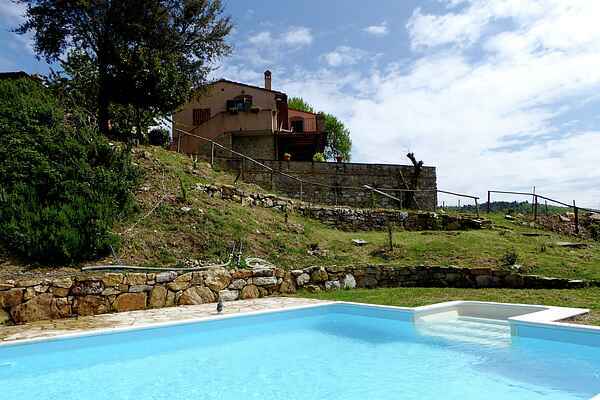 The Azienda Agricola is located about a kilometer from Panzano in Chianti, on the panoramic road leading to the castle of Volpaia.One wing of the house has been converted into three lovely apartments, carefully restored, with independent entrance and garden, private parking and shared pool. All is furnished in Tuscan style and equipped with everything needed for a wonderful holiday in the peaceful hills of Chianti. The owner produces homemade cheese, extra-virgin olive oil and honey with organic certification since 1960. Our products are reported on the major Italian and international magazines as the best specialties of the area. They can be purchased directly at the house as well as a selection of products and wines of Chianti. On reservation tastings are organized for small groups.